We are having a lot of snow today here in The Netherlands! You can see a photo that I took from the view from our living room here. The photo is from this morning, in the mean time a lot more snow has fallen. Luckily I don’t have to travel today and I can stay inside. I will be litting a nice fire in our fire place place! 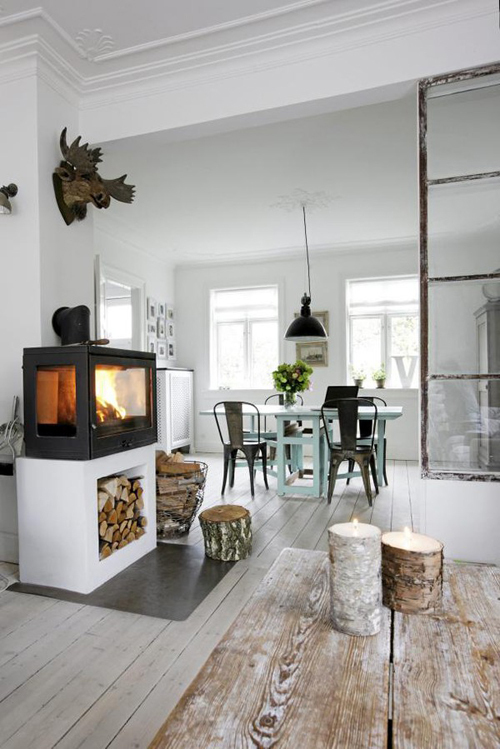 Here are some photos of interiors with cosy fire places. What a wonderfull house you have! 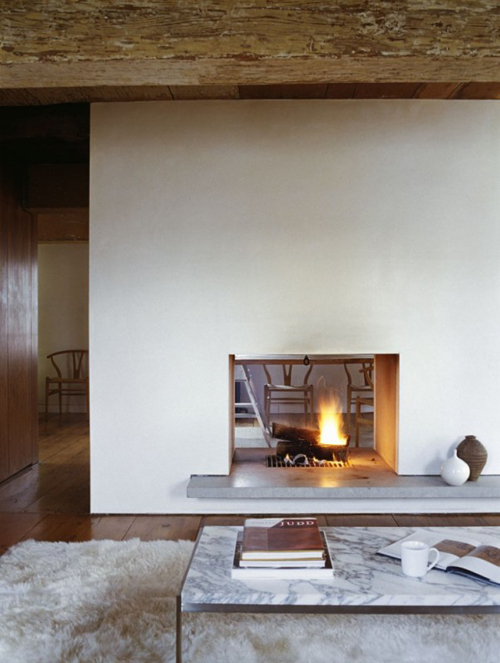 I would love to have a fireplace like that……! Have a nice weekend! What a beautiful house! Here in Sapain is also freezing, that is 2ºC. Jeje. Take a look to our houses from Madrid. Kisses!